What makes the HR40 windows different from other windows? The HR40 Window represents the pinnacle of residential glass technology. Not only does the window offer a more clear and vivid view of your surroundings, it enhances your home’s energy efficiency rating by retaining considerably more heat than the leading competitors. Here are some of the things that separate us from the competition, making our windows the best on the market. The HR40 windows come with high impact strength glass that takes the burden of worrying about the kids breaking your window with a soccer ball. The strength of our glass can be tested by banging a nail into a board using our glass as the hammer. 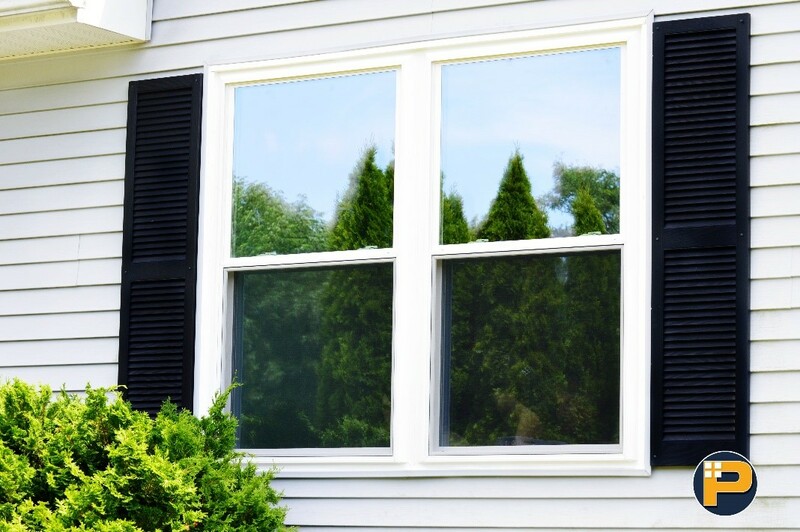 Double pane windows are usually the window of choice because it’s twice the glass of single pane & not as heavy as a triple pane. Triple pane windows can be very hard to operate. Triple pane windows tend to be heavier and wider than standard double pane. The wider frames can make it difficult to install and require more wall accommodation to fit. Double pane windows are made up of two panes of glass with argon gas in the middle. Argon gas is the norm because it is 6 times denser than air. This is important because the denser the gas, the harder it is for heat to pass through it. Dense gas = more thermal efficiency. The HR40 window is also double paned but instead of Argon, we use Krypton gas. Krypton gas is 12 times denser than air and twice as dense as argon, as a result, it provides a higher thermal efficiency and more energy savings. The low E coating on the glass reflects heat back into your home which adds to its energy efficiency. Another huge advantage of the HR40 window are the foam filled frames. These are used to better insulate the edge of the window to help maintain temperatures. When you touch your refrigerator door it doesn’t feel cold, but if you were to touch your window in the winter it’s very cold. The frames for the HR40 are built on the concept of refrigerator doors. They have closed cell foam insulation for the same high thermal control and efficiency as your refrigerator door. Glass has to be cleaned from both sides to truly be clean. With the HR40 windows, you only have to clean the inside. In the words of the HR40 manufacture Chuck Wetmore, the usage of the sun clean glass on the exterior of the window makes “the glass a lower maintenance product.” You spend less time cleaning the outside of the glass. Cuts your window cleaning time in half. A window capping is a material that covers up the wood around the window. Capping helps give the window a finished look. Capping is usually aluminum or vinyl covered aluminum. Aluminum capping oxidizes over time, leaving a chalky residue behind when rubbed against. Vinyl covered aluminum is a nice material that doesn’t oxidize. Even when contractors offer vinyl covered aluminum capping, it’s usually not the right shade of white. Even though it might say white on the box it tends to be a blueish grey instead. This, as a result, it is made of reprocessed vinyl. When the capping doesn’t match the window, it affects the overall look of the window. To remedy this issue, the capping used with the HR40 windows are made of pure virgin vinyl. The vinyl in our capping didn’t use to be something else in its previous life, it’s as pure as they come giving it the perfect and true shade of white. The perfect matching capping & frames to keep your windows looking great in the long term. The frames and capping are available in over 20 colors if white isn’t what you’re looking for. These are just some of the few things that set the HR40 windows apart from others. Interested or have questions? We can help! Sign up for a free estimate that is good for one whole year. Sign up today & you’ll be entered to win a free iPad.